For first responders, job-related stress and strain can be off the charts. Police, fire and EMS personnel often see and experience events that most people cannot imagine. Repeatedly encountering dangerous situations can lead to Post Traumatic Stress Disorder (PTSD), depression and eventually, in some cases, addictive behaviors and suicide. To meet the exceptional needs of our first responders, AdCare Boston Outpatient unveiled their Boston First Responders Program at a Meet and Greet January 30 at their new location on 50 Congress Street, Suite 430. “First responders require a different level of treatment because they are exposed to dangerous and even deadly situations in the line of duty,” said Jackie Dias, MA, LMHC, director. 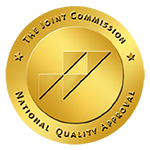 The Boston First Responders Program offers specialized addiction treatment for first responder professionals such as law enforcement, firefighters, military, veterans, and EMT’s. “The confidential, intensive outpatient program for first responders is the first of its kind in Boston and surrounding towns,” said Ms. Dias. The program allows uniformed professionals to speak about the intentional dangers that they face in the line of duty. It also treats not only the addiction but also the underlying issues that are often associated with such high-demand professions, namely stress, anxiety, depression, and PTSD. First responders face an increased risk of experiencing mental health and substance use disorders. According to SAMHSA’s May 2018 First Responders: Behavioral Health Concerns Bulletin, an estimated 30 percent of first responders develop behavioral health conditions such as depression and PTSD as compared with 20 percent in the general population (Abbot et al. 2015) In a study about suicidality, firefighters were reported to have higher attempt and ideation rates than the general population (Stanley et al., 2016). In law enforcement, the estimates suggest between 125 and 300 police officers commit suicide every year (Badge of Life, 2016). Fear of being seen as weak or not up to the job of a first responder keeps many from seeking help. Rather than deal with the stigma against working through, for example, PTSD related to the job, first responders may instead turn to substances to escape. They may also be concerned that others in the community – the people that they serve – may find out about their health issues and that this will affect their ability to do their job. Many first responders believe that discussing issues with PTSD, depression, anxiety, and substance use will put their jobs at risk. In most cases, this fear is unfounded. In fact, the earlier people get help, the more likely they will be to recover, improve job performance, and keep their jobs. Many first responders continue to live with disruptive mental health and substance use issues because they mistakenly believe that treatment will not work. They view the conditions that they are living with as unavoidable and continue to try to deal with them on their own. Admitting issues with mental health and/or substance use and asking for help takes courage and is the first step toward recovery. Talking about these issues in a therapeutic setting can facilitate the healing process. 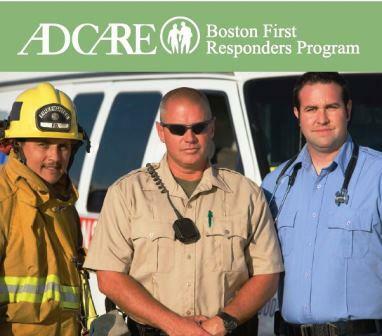 To learn more about the Boston First Responders Program or to schedule an assessment, please call 617- 227-2622.